This is a very full-featured iPhone app. You can do anything you could do with a normal mouse and keyboard, plus much more. You can use it like a Wii remote and control the pointer with a flick of your wrist, or you can use the built-in keyboard to type things. The application switcher is great. No more navigating to the taskbar or dock on your PC. 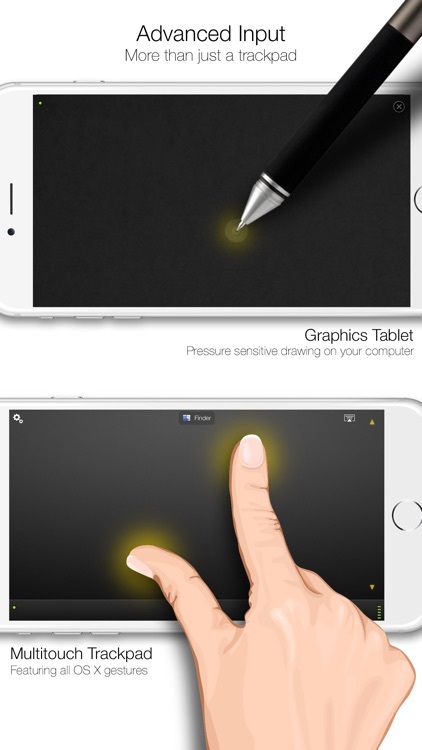 It supports multitouch gestures, and it has a special mode for using it as a Keynote/Powerpoint remote. Honestly, the list of features is almost inexhaustible. It works on all recent versions of OS X (from Tiger to Lion) and Windows (from XP to 7, both x64 and x86) with the free companion software available from their website. 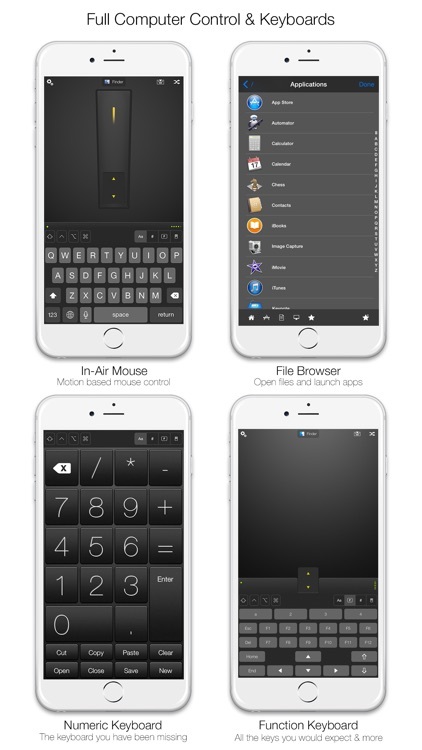 This app would be perfect for someone looking for a multimedia remote, as it has a multimedia mode and assignable hotkeys built in. 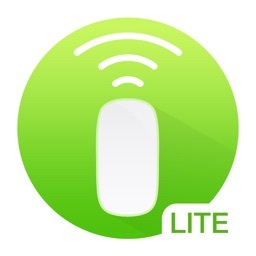 It works very smoothly and has a very quick response time on my 802.11n network, and is still very usable on 802.11b/g. 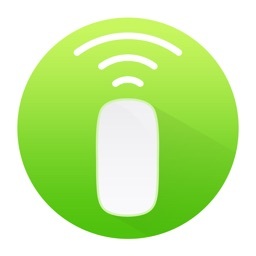 Mobile Mouse instantly transforms your iPhone, iPad, and Apple Watch into a wireless trackpad, remote, keyboard, and MUCH more for your Mac or PC. 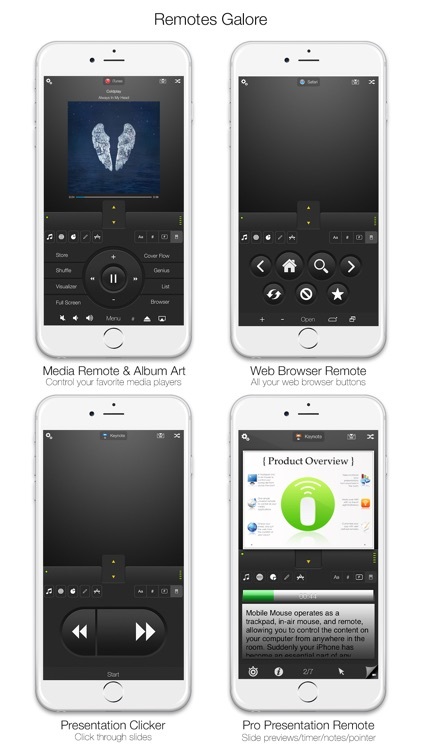 Sit back and surf the web, browse your photo library or control your music player from the comfort of your couch. 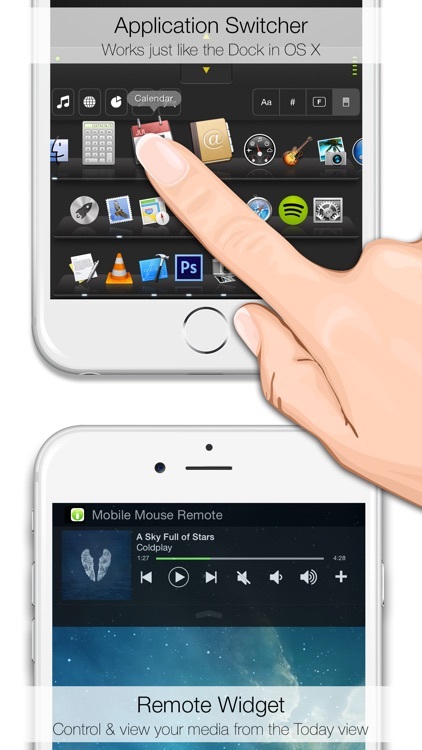 Mobile Mouse works as a fully functional muti-touch trackpad mouse, as well as an in-air mouse, allowing you to control your computer with the motion of your hand. 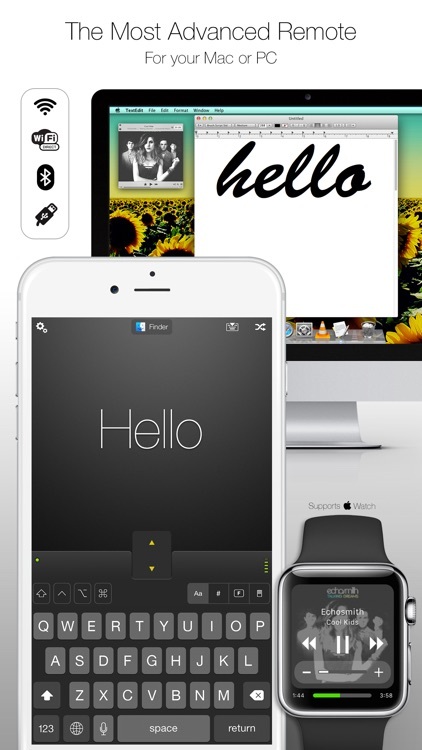 - Photo and text Sync. 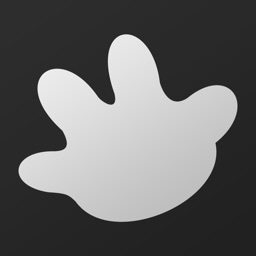 Send content from your computer directly to your iOS device. Call a phone number on your computer, push an address from your computer to your Maps app or even call an Uber. - And much, much, much, much more. ** IMPORTANT ** IF YOU HAVE ANY PROBLEMS OR QUESTION, PLEASE CHECK THE TROUBLESHOOTING SECTION ON OUR SITE, THEN USE THE CONTACT FORM ON OUR WEBSITE TO ASK FOR HELP. 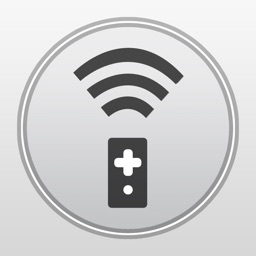 Today's AGF list includes an app that transforms your iPhone or iPod touch into a wireless remote, a 3D puzzle game for iPhone and iPad, an avoidance game with a twist, and much more. Appisode 174: AppAdvice Goes Retina And Facebook's Places... Love It Or Hate It? 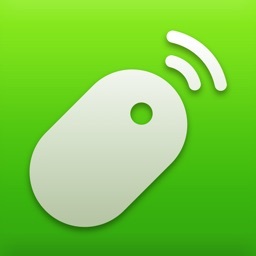 The AppAdvice app has been updated and now features fast app switching and retina display. 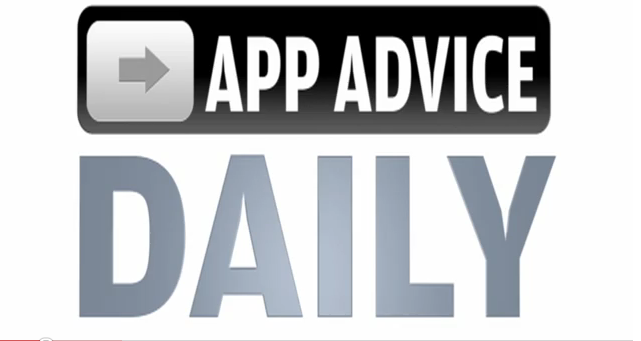 Check out why it's the best place to view AppAdvice Daily. Plus Facebook now has Places - so find out how we like it. 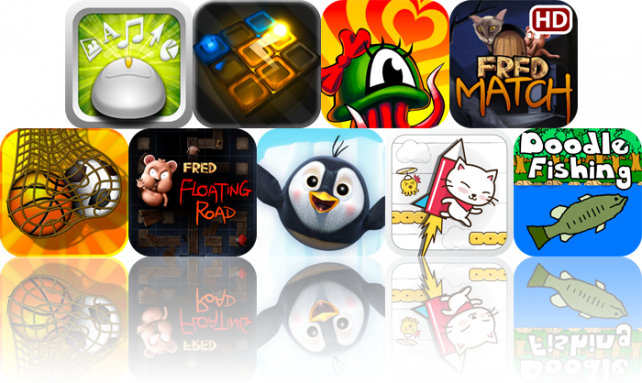 We have all this and more on AppAdvice Daily, Appisode 174.